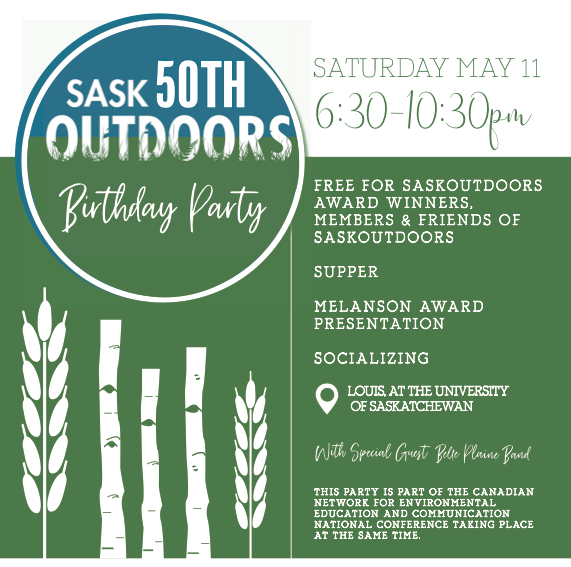 SaskOutdoors is turing 50 years old! Join us to celebrate! Free for SaskOutdoors Award Winners, Members and Friends of SaskOutdoors! This is event is part of the Canadian Network for Environmental Education and Communication National Conference taking place at the same time! Please register online so we know you are coming!